Since Kate’s diagnosis, I have read a good number of books written by caregivers. 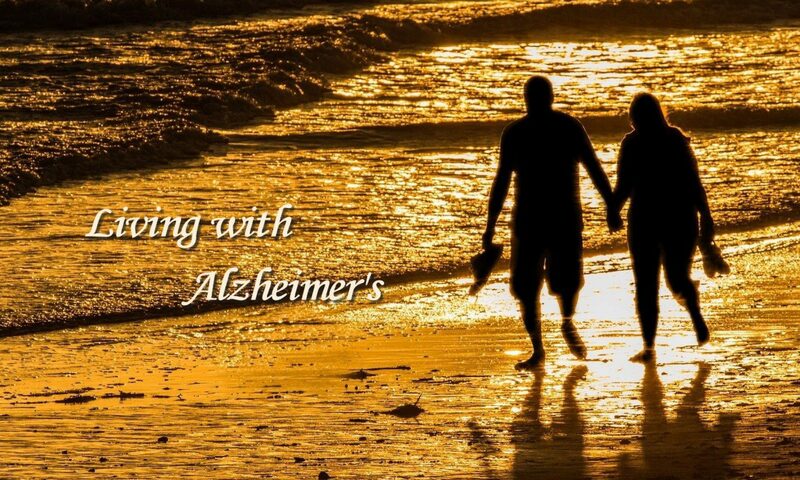 I have also checked a variety of message boards like those on the Alzheimer’s Association’s website and groups on Facebook. I’ve read enough to appreciate the broad range of frustrations experienced by caregivers. Most of these are directly related to the behavior of their loved ones, but some of them involve family and friends who offer their own views concerning what their loved ones need. The volume of complaints and expressions of despair have led me to spend less time on message boards. I don’t mean that I am unsympathetic to their frustrations, but I quickly found that spending much time with them conflicted with my own experiences. My experiences with Kate have been much more positive than those of other caregivers. At least one experience we have in common is one that has not been a problem for me. Like other people with dementia, Kate repeatedly asks the same questions. “Where are we?” “What is his name?” “How many years have we been married?” I know that this is very annoying to many caregivers. This doesn’t bother me at all, and I don’t know that I have a good explanation for why we respond so differently. I can only say that I just recognize that it is impossible for her to remember. It seems hard to imagine my being annoyed with her for something that is so far beyond her control. This doesn’t mean that I am not frustrated by other things that she does. I started to use the word “annoyed” rather than frustrated, but that suggests an irritation with Kate herself. That’s not it. It’s a frustration that I haven’t been able to accomplish what I had intended. Most of the time, I even see humor in these frustrating experiences. Let me explain. If you are a regular reader of this blog, you know that I readily acknowledge having OCD tendencies. I like order and regularity. People with loved ones with dementia will immediately recognize the potential problem. That means Kate and I are like polar opposites. Each day brings a host of things that don’t match my plans or desires. Let’s look at a few examples. A year and a half ago, I had our master bathroom remodeled. The motivation was to make it more handicapped accessible. Since the remodeling, Kate has showered mostly in the bathroom of our guest room. She does often brush her teeth in our bathroom. I don’t know how it happens, but she frequently spatters toothpaste on the mirror above her sink. She also leaves water on the counter around the sink. When she uses a wash cloth and towel, she rarely hangs them up. They are just thrown on the counter. On those occasions when she showers in our bathroom, she leaves her night gown that is thrown on top of a cabinet for our towels. She normally uses at least two bath towels, sometimes three. In addition, the bathmat is wet as though it might have been used to wipe up the floor. When she leaves the bathroom, they are almost always thrown on the floor. When I see them, I clean things up. I do notice these things and prefer they didn’t happen, but I think of them as trivial. I am not seriously bothered. In a way, it really is comical. Think of The Odd Couple. There are two other things that have caused more angst. One is my car. I try to keep all my belongs looking as new as I can for as long as I can. My car is a little over 6 years old, but I would still like it to look like new. It doesn’t. I have accepted the fact that with Kate, it puts too much emphasis on something I consider far less important than the quality of her life. That doesn’t mean that I don’t notice things. I keep a hair brush in the car for Kate. The other day she started pulling out the accumulated hair in the brush. She simply pulled it out and dropped it on floor board at her feet. I am sure she felt better having a brush that was free of hair but never gave a thought to the fact that it was now on the floorboard of my car. My number one frustration occurs with her clothes. I have many specific examples, but I will pick the one that bothers me most. Friday morning in Asheville, I got out a brand new pair of stone colored pants and a nice casual top that she had worn only a couple of times. They were topped off with her nicest casual shoes. This is what she was wearing when we arrived home and she decided to work outside. About fifteen minutes later, I looked out. She was sitting on the ground pulling weeds. Two or three years ago, I would have suggested that she change into her yard clothes if she wanted to work outside. Over the years, I decided to accept her natural inclination. She has worked in her regular clothes ever since, and I have become more appreciative of Oxyclean. I recognized that I was fighting a losing battle. She couldn’t adapt to my way of doing things. I needed to adapt to hers. Today, I believe we are both winners. More than anything else, I want her to enjoy herself and be happy. She can’t do that if I try to force her to live like me. I am convinced that I made the right choice to adapt rather than fight. In my earlier post today I neglected to say that we got off on a bad start when Kate was getting ready to go with me to the Y breakfast. She got up early (5:30) and had plenty of time, but she stayed in the bedroom on her computer and or iPad until 30 minutes before our departure time. Then she had a hard time finding clothes to wear including undergarments. This frustrated her but led to her feeling frustrated with her Alzheimer’s symptoms.